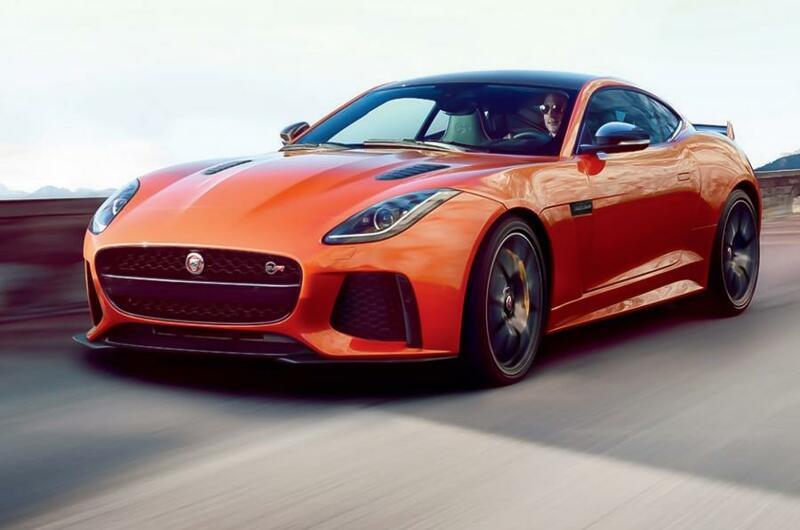 Jaguar has revealed its most fastest car the F-Type SVR ahead of Geneva Motor Show, which will commence from next month. 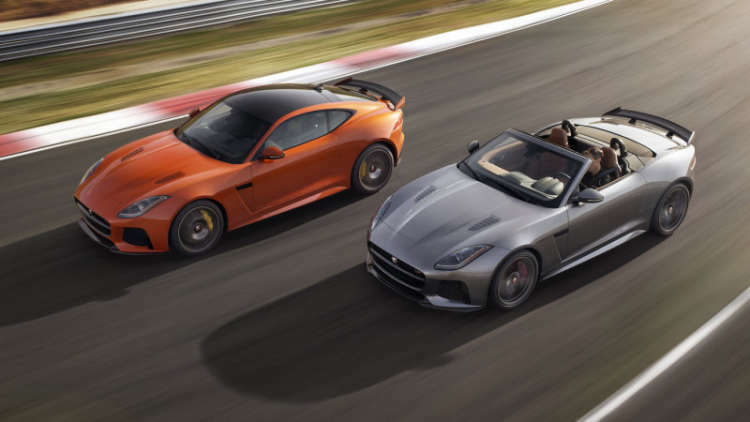 Being derived from F-type siblings, it shall be available in both Coupe and Convertible choices. The coupe is blisteringly fast, taking 3.5 seconds to undergo 0-60 mph. The company has also claimed that the car easily catches up top speed of 200 mph. While, the Convertible variant is able to reach a top speed of 195 mph. In a bid to make it powerful and faster, Jaguar has configured the vehicle with an enhanced engine and suspension. Continuing about the powertrain, it will be powered by a 5.0-litre powerful supercharged V8 engine that is good for 575 Bhp of power and 700 Nm of torque. An eight-speed automatic transmission is mated to transmit the power to all wheels. The new SVR comes equipped with slightly more aerodynamic package, and comparatively looks more advanced than the current F-Type R. The exterior includes the front bumper, flat underfloor and an active rear wing. In addition, the brand has also minimised the weight by adopting lightweight titanium and Inconel exhaust system, new striking forged alloy wheels, and a redesigned rear suspension knuckle. It also offers an optional carbon ceramic brakes. With all these advanced tweak, the car is able to drop the overall weight by 50 Kg. Other major interior equipments and technical upgrades shall be revealed at the upcoming Geneva Motor Show.